Hot sauces can be categorized in a variety of ways. Heat level is the most obvious characteristic. They're also often grouped by pepper type. Additionally, the sauce's origin can generally be traced back to one of three main regions: Mexico, The Caribbean or Asia. Though countless quality sauces can be found from any of the aforementioned categories, I'm always on the lookout for "outsiders". When I discovered Tahiti Joe's, I was immediately intrigued. Their line of hot pepper sauces runs the complete spectrum of heat levels while the ingredients and flavors have a distinct Polynesian flare. Despite what their branding and flavors would indicate, Tahiti Joe's is not based in the South Pacific. 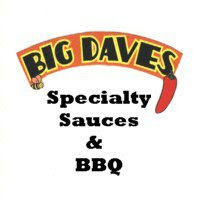 The sauces are produced in West Palm Beach Florida. There also appears to be an Ohio connection based on a couple novelty offerings. As a die hard Wolverine, I can't say that I approve of their "Buck U Michigan" offering, but I'll try not to hold that against them.There are currently eleven different sauces in the Tahiti's Joe's lineup plus nine additional sauces in their Maui Pepper line (to be reviewed at a later date). The eleven Tahiti Joe's sauces range from tongue tingling spicy to hotter than ghost pepper hell. Each one also features sweet, complex Polynesian flavor profiles that make them very unique in the hot sauce market. I won't be able to review EVERY flavor offering, but I'll address a couple of my favorites in this review and circle back to some of their other offerings at a later date. As with any company that offers multiple products, I like to start with the original product. Every sauce company starts with that original flavor that was just soooo good that they had to bottle it for the masses. 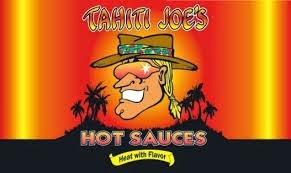 For Tahiti Joe's, it was the Polynesian hot sauce. Polynesian hot sauce blends habenero and jalapeno peppers with vinegar for a spicy, tangy base. Most hot sauces would stop right there, but it's the additional ingredients that separates Polynesian (and all Tahiti Joe's sauces) from the pack. Clam juice, honey, tomatoes, carrots, garlic and parmesan cheese are all crammed into the 5 oz. bottle. The result is a really complex melody of sweet, savory and spicy flavors. The flavor is so good that the heat takes a back seat. The moderate spice is tolerable, but does build steadily. The rich, well rounded flavor was a fantastic surprise. The sweet elements are great with fish tacos. If you can stand the heat, Polynesian makes an incredible wing sauce as well. After thoroughly enjoying Tahiti Joe's Polynesian Hot Sauce, I decided to tackle their hottest sauce, Uhane Akai XXXX Hot Sauce. This sauce uses the infamous ghost pepper (as well as habeneros) as its heat source. Like all Tahiti Joe's sauces, the peppers are accented by a variety of unique ingredients like key lime juice, clam juice, honey and ginger. Unfortunately, with a sauce this hot, the other ingredients aren't necessary. Flavor be damned with Uhane Akai. I'm fairly certain that your taste buds totally shut done as soon as a drop of this evil concoction hits your tongue. Like all the other extreme hot sauces that I've tasted over the years, I have a hard time evaluating the sauce's merits. I can't exactly say that I "enjoy" it. On the other hand, the sauce delivers on its promises. It's CRAZY HOT! In a crowded hot sauce market, Tahiti Joe's is in a category of its own. Infused with sweet and savory elements of the South Pacific, their original Polynesian Hot Sauce is as good as it gets. Uhane Akai will singe, sear, and blister your tongue. If your the type of sadist that enjoys those sort of sensations, then grab a bottle and have at it. Based on the initial impressions that first two sauces made, I can't wait to try their other offerings. 0 Response to "Tahiti Joe's Hot Sauces"